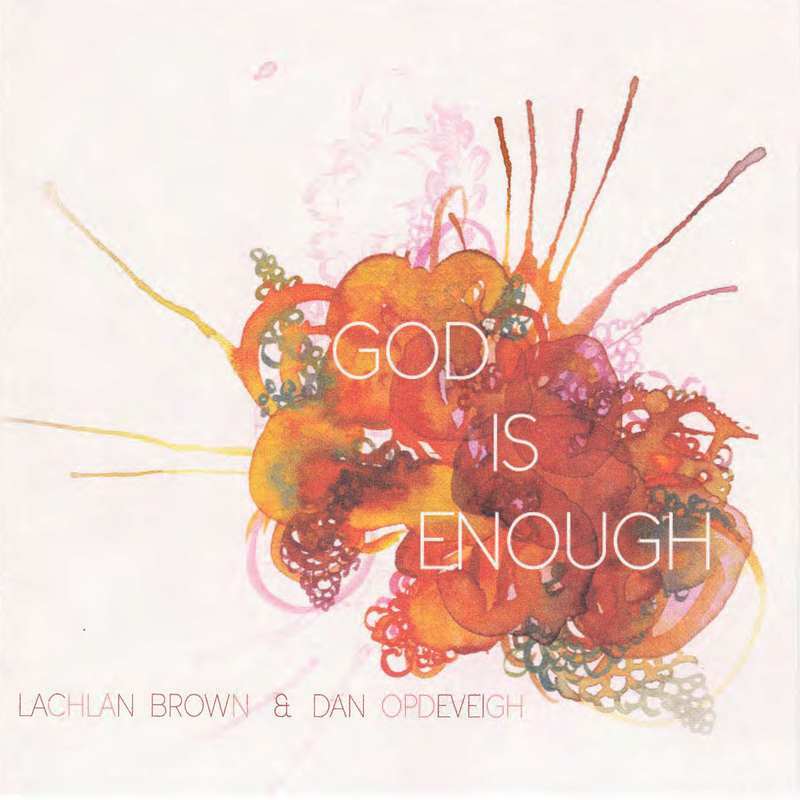 God is Enough is a brilliant album put together by a couple of friends, Lachlan Brown and Dan opdeVeigh. Lachlan is a lecturer in English literature and creative writing at Charles Sturt University in Wagga Wagga, and Dan is worship pastor at Church By the Bridge in Kirribilli, Sydney. The pair have been on SUFM beach missions each summer for a number of years and decided to use their musical gifts to record an album together. God is Enough contains ten Scripture-centred songs written to be sung congregationally, with an array of gifted musicians playing across the album. Lachlan and I attend the same church, and he is a good friend of mine. I got to sit down with him to discover the stories behind how the album was made. Sam: How do you go about writing an album of congregational music? Lachlan: When you write congregational music, you think about how they might be encouraged. How they might have God’s truths sticking in their heads. Which bit of the Bible might be taught at one time and how your songs might fit into that. So some of our songs were written for specific passages of the Bible. You think about all those things, and also singable melodies, melodies that are memorable and good. Melodies that scan well with words. You’ve got all those things running through your head. But sometimes it’s just, you can tell something’s come out, and it works, and so if you enjoy it, you share it with other people, and hopefully they’ll enjoy it and be encouraged by it and want to follow Jesus more because of it. Sam: Where was the album recorded? Lachlan: We recorded most of it in C3 Studios, with producer Greg Bell, who also played guitar for the album. He was a great producer. Great Christian guy, a real encouragement to us. But we recorded other bits in other places because it took a while so we went to the Con. The piano bit in the first track was recorded at the Sydney Conservatorium [of Music] in a room that someone booked for us kindly. And other bits were recorded at Greg’s house when we couldn’t get a studio. So bits and pieces everywhere, but mainly at the old C3 Studios before they got rid of them, and got new ones – so the old demountable portable buildings at Oxford Falls. Sam: So I’m guessing it took a while to record this album? Sam: The band that you play with on the album, are they all mates of yours? Lachlan: Yeah. The bass player is my little brother Ev, Evan Brown. Evan Brown’s a professional muso in Sydney, he teaches at a couple of schools and plays gigs around town, and he studied at UNSW and the Conservatorium. Other players too – Greg plays guitar and Dan who is my co-writer for most of the tracks plays guitar. Luke Glanville who is now at ANU and a lecturer in International Relations plays the drums, he was in Brisbane at the time and came down. So some great musos, and we managed to pull in a few favours from friends, great string players and other players as well. Hannah and Bronwyn Buckley – Hannah’s with the Australian Youth Orchestra, also Jono Bekes plays the cello, he’s with the Australian Youth Orchestra – we were able to get some really great musos on the tracks and bring them in at different times. Sam: Father You are Worthy, what can you tell us about that track? Lachlan: So I wrote this track in Paris. I was on a scholarship to write poetry in Paris at the time. And when we got into the apartment that we rented off an Australian lady, of all people, who we just found in a roundabout way… we got in there the first day, and it was just a blessing to see a piano there. Paris apartments are tiny usually, but this one had enough space to have a piano. So I decided to do some writing, and so this song was written on that piano there, very late into the night, in Paris. When my wife was trying to sleep, I decided to write this song! And then trying to nut it out, I had this little book with me and I was trying to nut out the words and I remember being on the Metro in different places and just opening this book and thinking ‘that’s the line I want!’ and there was a few lines that were written on the sides of poles in the Metro, or stopped in the middle of the street, so it was great when it finally came out. And then awhile later, we got the bridge together, but it’s a Paris song. Sam: You’ve called the album God is Enough, why call it that? Lachlan: Dan and I had written a track called God is Enough, and we were thinking about Psalm 73 and how even though the world might fall around us, we want to be able to say, with the Psalmist, that whatever we have or whatever we don’t have, God would be enough. So it was really on our heart to have a song about that and to sing about that, and to encourage people to treasure Jesus because, particularly in Australia, but around the western world, we’re so materially rich but sometimes we can have the tendency to put our faith in things we own, or kind of the stuff we can do, or the status we can earn. But the gospel explodes that in an amazing way. And it forces us to see our own inadequacies and to seek salvation in Christ alone, and in the God who made us and who wants relationship with us. It was a song that came out of that, it came out of us listening to sermons about different passages, including from people like John Piper – and thinking about a Christianity that is not after material gain but is after Christ and finds it’s treasure in him. Sam: Is there a key message or big idea to this album as a whole? Lachlan: Yeah, it probably comes out of that title track, doesn’t it? That we just wanted to magnify Christ in our singing and in our lives, and that we want to see how great he is and the amazing things he has done – particularly in the gospel – in the way he has revealed himself in his Son. The album is about a response to that. A call for people to be singing songs in their churches, to respond to God with wonder and praise. You can hear more of the interview, including more stories behind the tracks, by streaming the whole thing, below. God is Enough can be purchased at www.godisenoughcd.com (physical copies) or on iTunes. Posted in MusicTagged Album Review, Charles Sturt University, Church by the Bridge, Dan opdeVeigh, God is Enough, Lachlan Brown, Sydney, Wagga, Wagga Wagga, WorshipBookmark the permalink.